Mr. ChuToroZuke, whom even I respect as an expert on Japanese sake, was kind enough to tell me the Japanese sake brands that he recommends to readers. 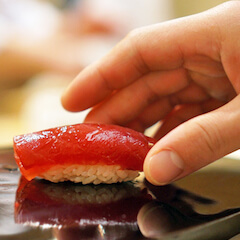 If you're looking for quality, Saito-san is a master of the craft, so I feel like Sushi Sho Saito wins. It is best that you first contact the concierge of the hotel that you plan to stay at. I (mostly) agree with the two of you and fully understand why some restaurants elect to go this route. Trying to get some conversation going on this web site outside of boring recommendation requests. :-P Some will definitely see this as outright xenophobia, and I'm sure that in certain cases, that is part of it. Ultimately, I guess the onus is on us foreigners to get off our asses and learn Japanese. @localtaste I hear you. I recently been to a top rated french restaurant in Tokyo and felt underwhelmed. The restaurant was so hard to get into but is ordinary at best in my opinion. Sometimes things are just overhyped, especially by SNS. So thank you for sharing your honest opinions of restaurants here. I used to want to go to every highly rated restaurant but now more of going with the flow. 一期一会 it is! The details if anyone is interested: Duet of Ice and Fire Introducing “Father of Aged Sushi” Koji Kimura and Tempura Artisan Shuji Niitome (April 12 – 14) The Ritz-Carlton, Hong Kong welcomes one of Tokyo’s celebrated sushi masters Koji Kimura and tempura artisan Shuji Niitome to perform a special duet. The duo will offer a rare opportunity for Hong Kong gourmands to savor their authentic Japanese delicacies. From April 12-14, Ozone will host an exclusive pop-up with both chefs, serving both aged sushi omakase and tempura omakase for lunch and dinner. On April 13, the duo will join hands and present a four-hand dinner for one night only. cid:image001.jpg@01D4E578.29A39690 Sushi Omakase Lunch by Chef Koji Kimura Tempura Omakase Lunch by Chef Shuji Niitome Date: April 12-13, 2019 Time: 12nn – 2:00pm (Sushi Omakase Lunch Fully Committed) Price: HK$2,688 per set for sushi omakase lunch HK$2,288 per set for tempura omakase lunch * With one complimentary glass of Veuve Clicquot Vintage 2008 champagne Sushi Omakase Dinner by Chef Koji Kimura Tempura Dinner Dinner by Chef Shuji Niitome Date: Friday, April 12, 2019 Time: 6pm-8pm (1st seating) 8:30pm-10:30pm (2nd seating) Date: Sunday, April 14, 2019 Time: 7pm-9pm (Fully Committed) Price: HK$3,288 per set for sushi omakase dinner HK$2,888 per set for tempura omakase dinner * With one complimentary glass of Veuve Clicquot Vintage 2008 champagne Four-Hand dinner by Chef Koji Kimura and Chef Shuji Niitome Date: Saturday, April 13, 2019 Time: 6pm-8pm (1st seating) (Fully Committed) 8:30pm-10:30pm (2nd seating) (Fully Committed) Price: HK$3,888 per set for a four-hand dinner * With one complimentary glass of Veuve Clicquot Vintage 2008 champagne *All prices subject to 10% service charge. *Please kindly note that no reservation and holding at the moment. There was some information about them looking for property to to aim to reopen in January, but there have been no further updates at present. Leo, what are your top 3 musts restaurants NOW in Tokyo and Osaka? Thank you! @tanseaway That is very unfortunate because I was planning on trying to dine at Shinohara. When my hotel concierge called to find out when they can make a reservation, it seemed like they didn't mention anything about requiring a Japanese speaker. Thank you for pointing that out! I also heard something similar yesterday about Tagetsu. I think I will still try it but know to expect something not as traditional. What places would you consider more traditional? I have reserved Ishikawa for dinner and was considering Toyoda Ginza for lunch. And thank you for sharing about Yakumo Saryo as well! I will have to try and drop in. Sounds like a nice relaxing place to have a meal!